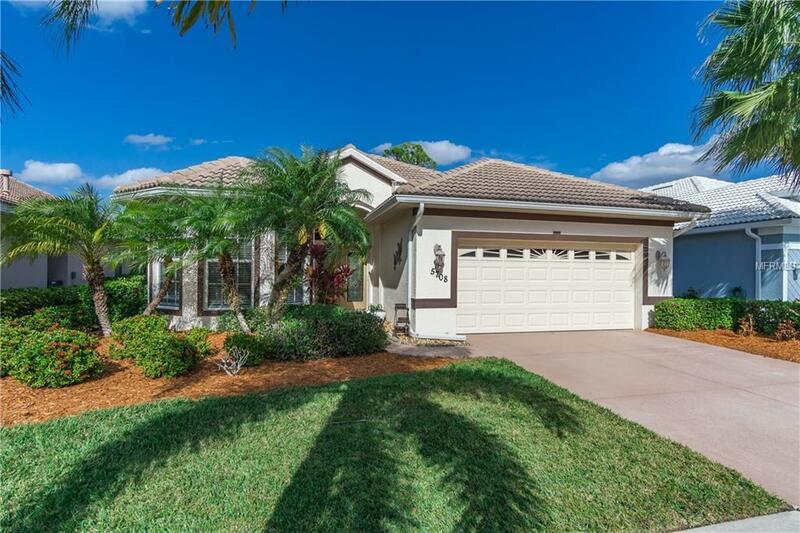 GORGEOUS 3 bedroom, 2-1/2 bath, POOL home, overlooking fairway and 8th green of the Oaks. Triple sliders open to over-sized lanai with ample gathering spaces for entertaining or lounging and enjoying the views. Refreshing pool with waterfall feature. Kitchen shows off beautiful wood cabinets, granite counters, stainless steel appliances, gas stove and wood-look flooring. Third bedroom has french doors, built-in shelves, and it's own 1/2 bath. Master suite highlights extra large closet, triple windows, soaking tub and walk-in shower. 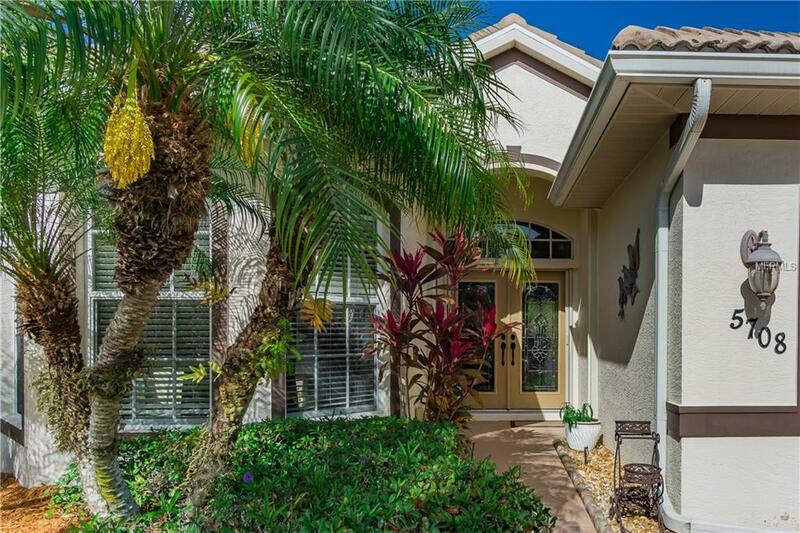 Other features that will compel your attention: transom windows, crown molding, tile on the diagonal, leaded glass front doors and natural gas piped in for a grill on lanai. With a required club membership, owners will have access to the newly renovated 27-hole golf course and premier practice facility. Elegant clubhouse includes casual & fine dining, activity & game rooms, pro shop and locker rooms. 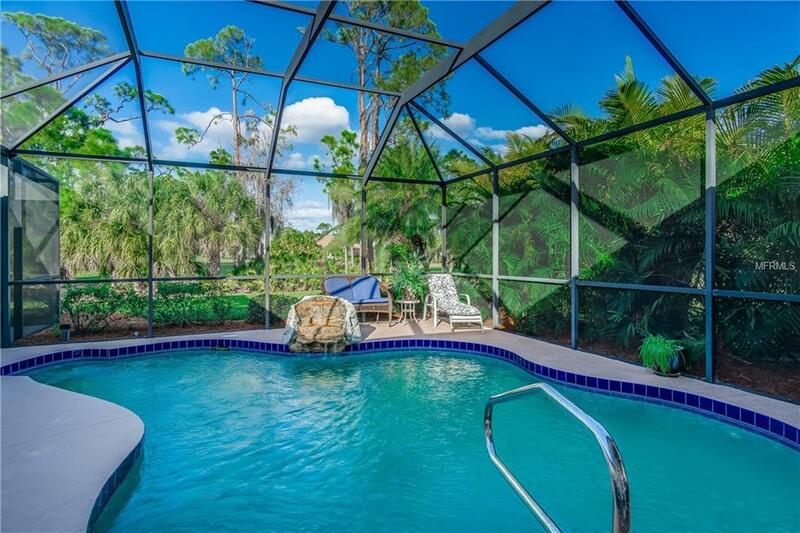 Other amenities include fitness center, tennis courts and resort style pool & spa. 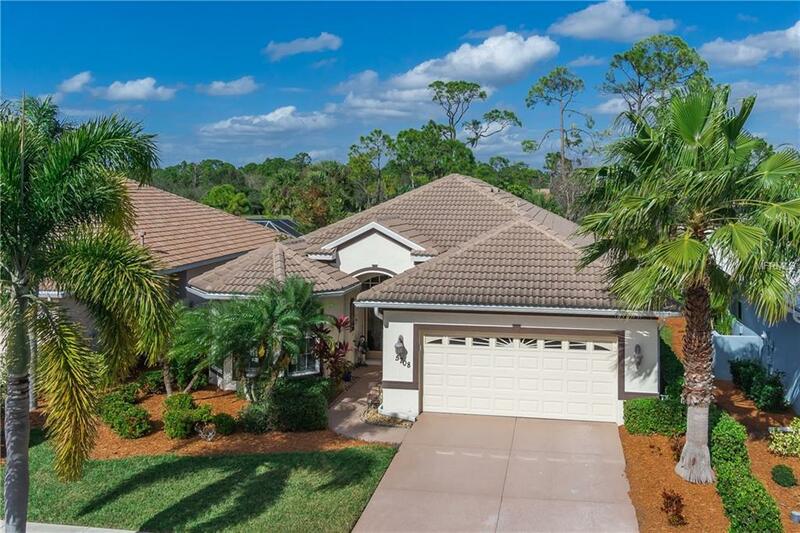 Come join this exclusive, yet friendly country club, gated community in a natural oasis, surrounded by lakes and preserves. Basic Comcast cable and internet included in your HOA fees. AS IS with right to inspect. Amenities Additional Fees Buyers Required To Join The Country Club With 3 Levels To Choose And A One-Time $3000 Initiation Fee. Also A One-Time Capital Contribution Fee Equal To 1/4 Of The Annual Hoa Fees Payable At Closing. This Goes into Your Neighborhood Reserve Fund.